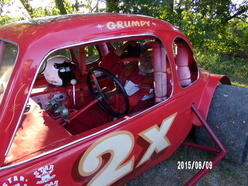 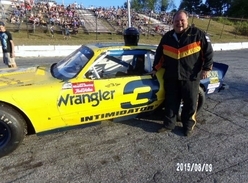 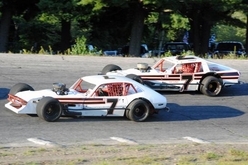 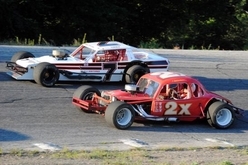 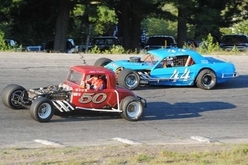 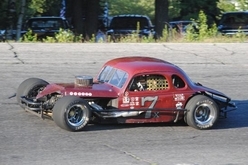 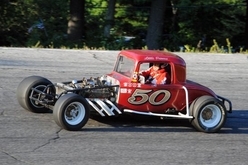 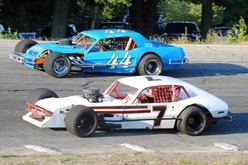 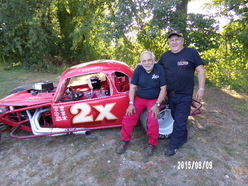 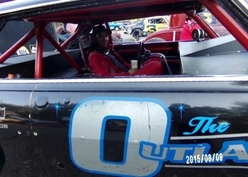 On August 9th Hudson Speedway in Hudson, NH was the next stop for the Senior Tour. 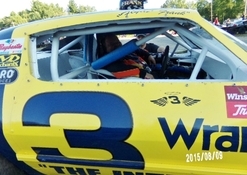 It was a special night at the Speedway. 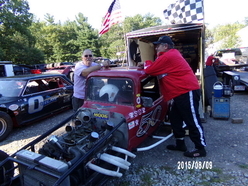 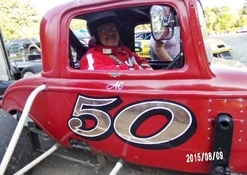 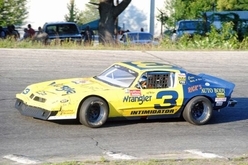 It was the 13th annual “Don Hayes Memorial Race” held in memory of Hudson’s Speedway’s first photographer/videographer who was associated with the Speedway from its first opening season in 1948 until 2001. 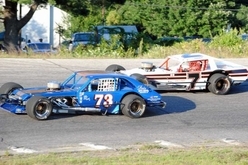 A lot of the photos we are posting are courtesy of son Rich Hayes. 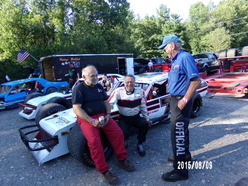 Later on that evening STAR would do their features in memory of Don Hayes. 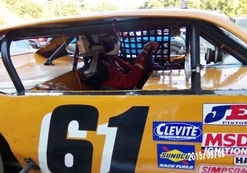 In the Sportsmen division it was Dwight Lowes from Ma in his #50 coupe to take down the win for the Sportsmen division. 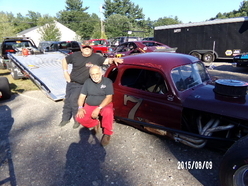 Ed Mulligan from RI in his #61 Pinto took a second and to top off the pack with a third was Frank Foley from Ma in his #3 Camero. 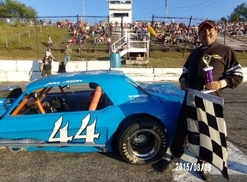 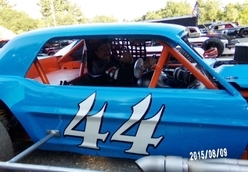 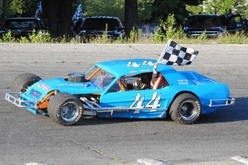 In the Modified division it was James Allen from Ma in his #44 Mustang to take the checkered for the Modified division. 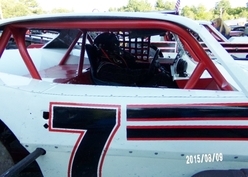 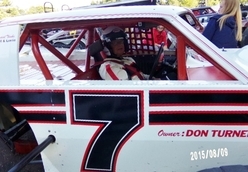 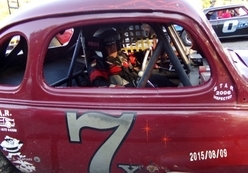 Brian Robie from NH in his #7 Pinto took a very close second and Bobby Turner from Me in his #7 Omni finished with a third. 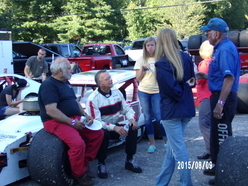 On track interviews took place with awarding of trophies to the top three in each division.